Stavatti Aerospace is entering the Javelin into the USAF Advanced Pilot Training Program (T-X) competition. The Stavatti Javelin is a new twin-engine, two-seat, high performance military jet trainer and Very Light Fighter (VLF) aircraft. Derived from the ATG Javelin Mk-30, the Javelin will be a candidate for the USAF T-X trainer requirement, as well as a trainer and VLF that can be sold to allied air forces worldwide. 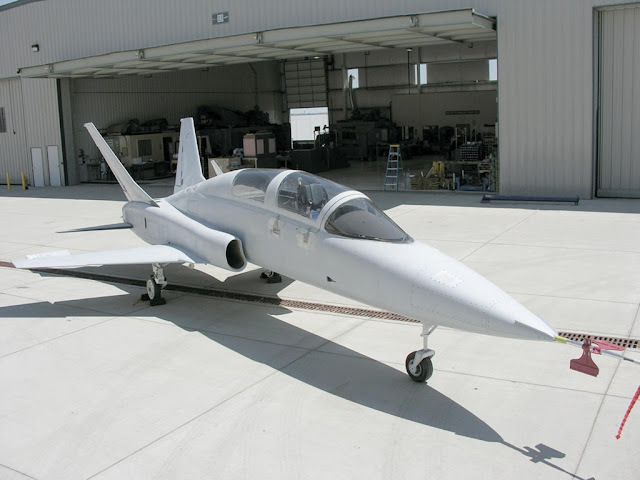 On 14 November 2016 Stavatti Aerospace Ltd was granted an Exclusive License to re-imagine, develop, prototype, certify, manufacture, sell, and support the Javelin as an Advanced Jet Trainer (AJT) and VLF from the present owner of the Javelin project’s intellectual property and physical assets. Upon execution of the licensing agreement, Stavatti immediately began redesigning the Mk-30 Javelin configuration to directly address the current USAF T-X RFP requirements as issued on 31 December 2016. The Stavatti Javelin maintains many exterior characteristics of the original Javelin design but benefits from structural improvements to increase maximum load factor to 9-Gs, more powerful engines, greater internal fuel capacity, increased maximum external warload, higher maximum takeoff weight, a cockpit designed for the T-X mission that satisfies JPATs flight crew accommodation cases 1-8, and a maximum level speed of Mach 1.36. The result is a very affordable, next generation supersonic trainer. Stavatti is now building the Javelin Industry Team and may partner with a larger prime contractor to expand the Javelin program’s ability to provide comprehensive manufacturing, training, and contractor logistical support to satisfy T-X requirements. Stavatti will be releasing technical information regarding the reimagined Javelin beginning March 1st followed by a formal response to the USAF T-X RFP on March 30th.